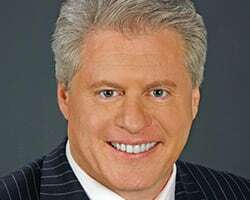 Wayne Allyn Root (aka WAR) is a high energy, passionate, dynamic, outspoken, and (just like our president), a fiery, combative, unapologetic, in-your-face, conservative warrior, and capitalist evangelist. The former 2008 Libertarian Vice Presidential nominee is a nationally syndicated radio and TV host. Wayne's national TV show The Wayne Allyn Root Show airs nightly on Newsmax TV to 80 million homes at 8 PM ET/5 PM PT. You can watch on DirecTV, Dish TV, cable systems across the USA, or at NewsmaxTV.com. Bill O'Reilly, the king of cable TV news for 16 consecutive years, is his guest three nights a week. Wayne is also the host of the nationally syndicated WAR Now: The Wayne Allyn Root Show on USA Radio Network daily from 6 PM to 9 PM ET. His popular newspaper column is read in the Las Vegas Review Journal, as well as newspapers across the USA, syndicated by Creators Syndicate. Mr. Root is also a prolific author. His latest book TRUMP RULES: The Ultimate Guide to Being a Winner will be released nationwide this fall.